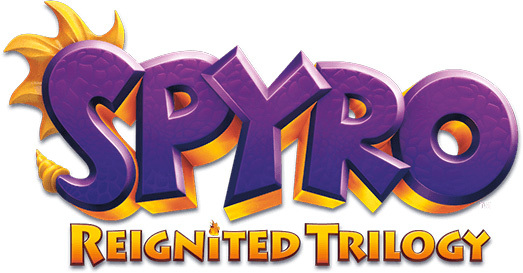 darkSpyro - Spyro and Skylanders Forum - Skylanders: Lost Islands - Winding Down? darkSpyro - Spyro and Skylanders Forum > Skylanders Mobile > Skylanders: Lost Islands > Winding Down? I haven't been playing much lately and I haven't been around the forums much either. I've been playing this game for over 2 years now and I'm finally starting to really lose interest. It was a great run and I got a lot of enjoyment out of the game but much more importantly I really enjoyed hanging out on this forum. I'm not 100% sure I'm going to fully quit playing and posting, but in case I do, I wanted to say thanks to everyone for making this a fun place to visit. I wish you all the best. Enjoy the game! You worry too much . Of course there is other games out there to play . Good luck on whatever you want to do friend Midas . All the best to you too, Midas, in whatever games you choose to play next. Yeah, it is reaching that point with me too. I keep adding personal "goals" to keep it interesting, but the funny thing is every time they add stuff (like new characters) it makes me check in more as I level them/do their quests, which increases my gem production significantly, which in turn accomplishes goals faster, which hastens my losing of interest. They need to add something just to drive those "must have everything" players crazy. Something costing in excess of 15,000 gems. Something really pretty. Alternatively, they could just fix the friends system so you could visit other islands and HUNT for cool stuff without blowing your game up. Midas, it's been gold having you around all this time. Even if you take off, I know you'll check in again - eventually. See you then if not before. When i get sick of this game i will stop playing too . If some Glitch farks up my islands for a second time , then well thats it i wont play again . I have technically done my "goals" and well just enjoying the excess gem perks of level 45 . I put more time into it then anything else i ever played I imagine . Its helps to keep me in the Skylander mood and its great while i am waiting to buy TT . Same as you guys. There's not really an engame since you already have the ability to destroy the hard quests at level 38, and if there gets to a point where I'm just collecting and not really going after something I'll just move on to something else - too bad Universe is long dead and Cloud Patrol seems to have been abandoned, could use somewhere else to use all my codes. I'll probably still replay later to add things to the Wiki but definately not spend so much time as I do now. I'm not the experienced player of lost island. There is things I praise such as this being a freeimum game where YOU honestly do not have to spend any real money and the gems and everything are actually obtainable for free. But sadly this game just comes off boring and with nothing else to really do after a while. it would be nice if the world was bigger but for some reason it just doesn't stay interesting such as Simpsons tapped out for me. After i've added my new skylanders to the collection leveled them up there is nothing left for me to do. I hit 45 about 2 weeks ago and my motivation for the game has dropped like a brick. Mostly stop in twice a day to hit beatrees and quigley, tap out shrines and bats. Still have a few things to buy but generally have most goals met, nothing really optimized. Main remaining goal is the last alter ego I don't have. I only pretend to know what I'm doing. I was just posting on another thread about coming back. I hardly check anymore for several months now. You might come back Midas, but take a break if you need to. This week's update/quest hasn't popped up yet. And another thing kinds weird, the splash screen still talks about last month's well alter ego. I'm wondering if they are slowing down development or maybe working on something bigger in an update. It's kind of a weird time for a break in updates. But who knows, since the comic prequel to SKL5 mentions space-time rifts, maybe the LI devs are waiting for the game announcement to see if they'll follow the canon for once(maybe as a new type of clutter). The return of personal offers made me expect there would be a break from regular updates. If it weren't for posts about Enigma being in the game, I'd be worried that they've stopped for good. No game can continue with weekly updates indefinitely, and as many have observed, it is not necessary to spend any real money to succeed at this game. At some point, they won't be making enough money from this app to continue updating it. They probably barely make much money but so many things are models ported from the console games that they don't seem to be spending too much on it to sustain it. Until Battlecast or whatever else is coming for mobile this year replaces it, there's little reason to leave such a simple game behind to keep the link to mobile games. Battlegrounds and Cloud Patrol are already a thing of the past, so not much else left. I have stop playing pretty much after I hit level 45. I loved playing the game but just getting new Skylanders and leveling them was not enough. I may return in a few months. Thank you all for the help I received here. Gee folks level 45 has your gem output at maximum . I am playing about as much as I usually do . I am not quite bored yet . Hopefully those programmers start chugging out new content next month . Yes I agree we should move our butts and make a couple new threads . What you put in is what you get out . Hope you have fun on your new Kingdom game Master KLM . Same happened with my fairy town . In place of my buildings i had WI FI symbols . I deleted it . After playing for two and a half years, I still play it. When my kingdom was reset last year, it was ok to do all the things again, but a lot faster. This is because of the update and the more skylanders I have. Also having friends helps a lot with the gem production (even if you dont visit them). When my kingdom was reset I went cold Turkey for a month, but I noticed I missed playing the game. I also play the other (not mobile) skylander games and like leveling the skylanders. Itis a good game where you dont have to spend real money to make it fun. I am wondering what the will do for the update of Supercharger and what the new christmas alter ego will be. I've taken a playing hiatus to match the game content hiatus. I'm enjoying the break, but I'm also looking forward to the new content and playing again.